My good Friend Steve Ransome was called to a job to fix some wiring. This is what he found. 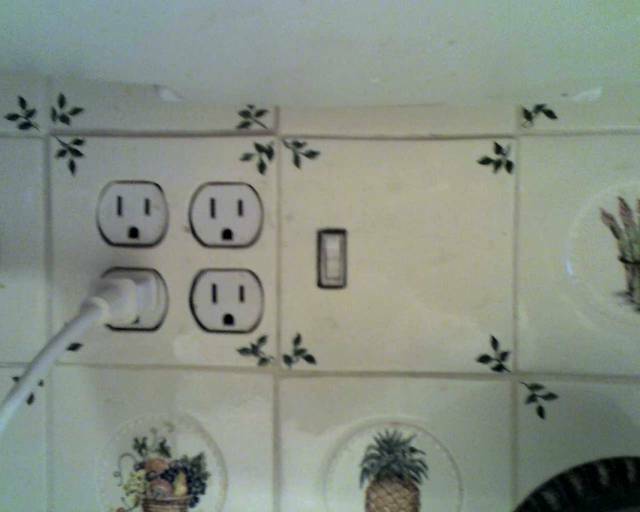 I guess a D-I-Y handyman thought that you can install tile backsplash right over your electrical boxes. 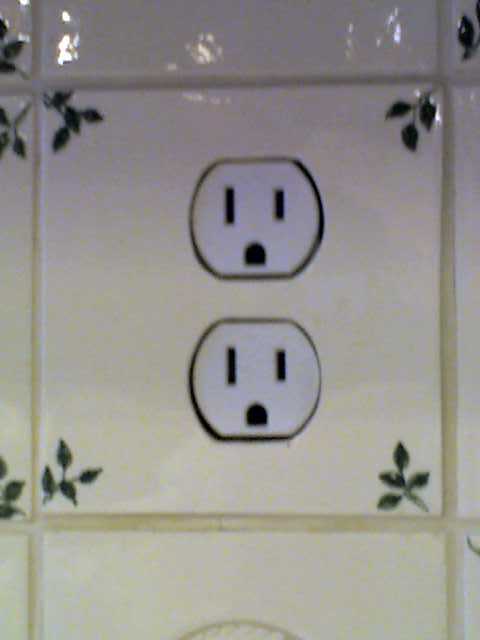 Imagine the homeowners surprise when Steve had to tell them that the tile has to be removed. 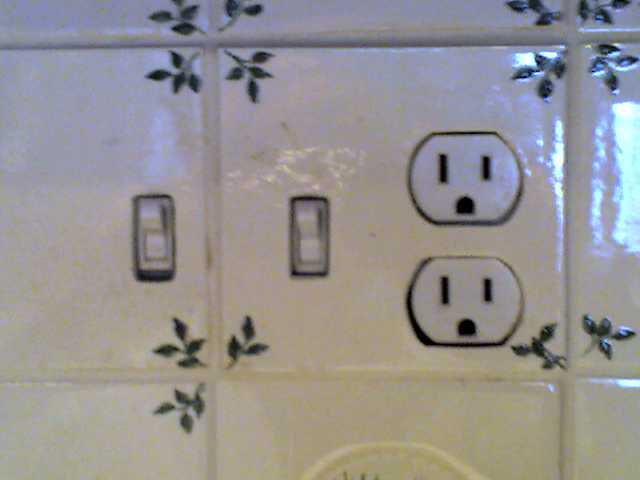 The handyman really did a nice job cutting out the tile for the switches and receptacle. Don't you think? That tile guy, or someone spent a lot of effort & time, shame it has to be destroyed. Last edited by HotLine1; 01/29/09 11:12 AM. It never fails to amaze me how much work some people will do to do something the wrong way. I defy anyone, using scissors and a sheet of cardboard, to do a neater job! Still, the NEC requires cover plates to be listed, and we need access to those boxes. The placement is such that .... probably ... the tiles can be removed intact. Then, if you're lucky, the boxes will be able to flex forward, and have the right mud ring, to accomodate the wall. Trimming the tile and covering the mud ring with the proper cover plates ought not be nearly as difficult as what was done here. It is definately amazing, the lengths people go, to do something wrong. The work is beautiful though. If you get them off in one piece mark the holes for owner to drill and put back on with screws. If you can't get them off in one piece, have the same person cut new ones and include mounting-screw holes. This person is a true tile-fitting artist; he just needs to be kept away from electical work. 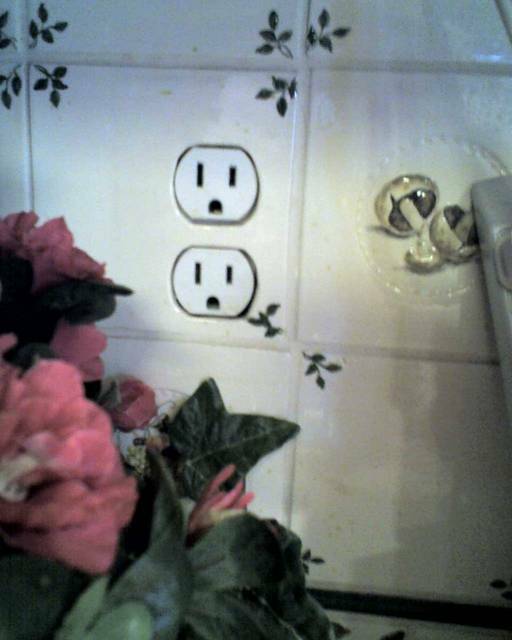 I wonder how they cut the almost perfect holes for the receptacles? More specifically- what tool could they have used?